IN THE LORD MAYOR'S SHOW: Aviation occupied quite a prominent place in'this year's procession. 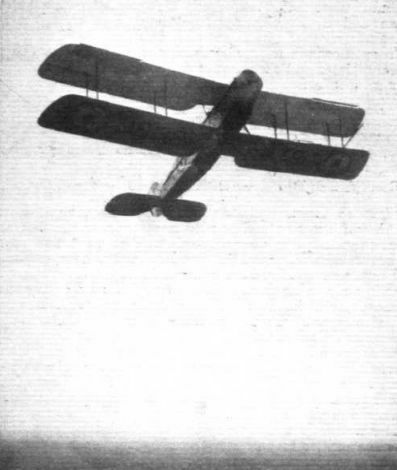 Our photographs show: (2) and (3) A D.H.9a day-bomber escorted by a contingent of No. 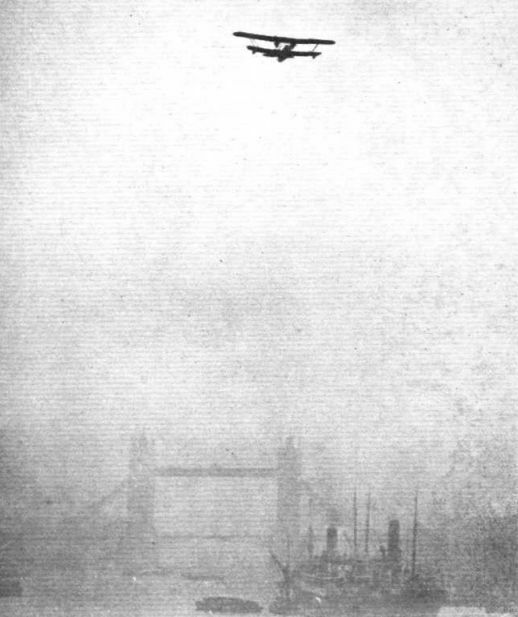 600 City of London Bombing Squadron, Auxiliary Air Force. 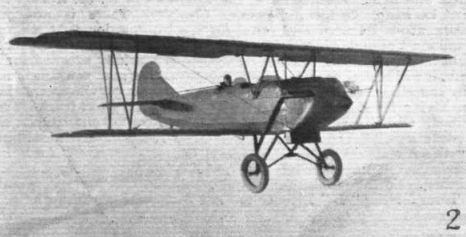 "STALLED, BUT UNDER CONTROL": The Bristol Fighter, piloted by Squadron-Leader England, giving a demonstration of the new Handley Page automatic slots. In the photograph these can be seen in the open position. The rest of the wing is stalled. 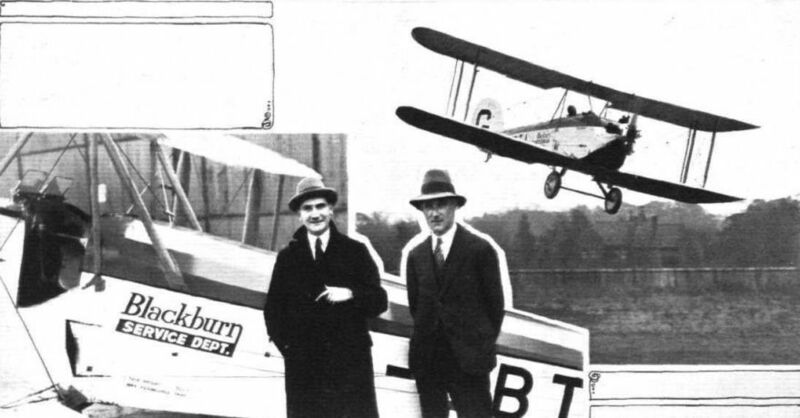 THE NEW HANDLEY PAGE AUTOMATIC WING TIP SLOTS: On the left, Mr. Handley Page is seen explaining the safety device to Sir Samuel Hoare and The Lady Maud Hoare. On the right, a view of the slot, and the angle indicator fitted on the experimental machine to show the angle at which the machine is descending in a horizontal attitude. The indicator is limited to an angle of 30 degrees, but the machine actually descends much steeper than that. 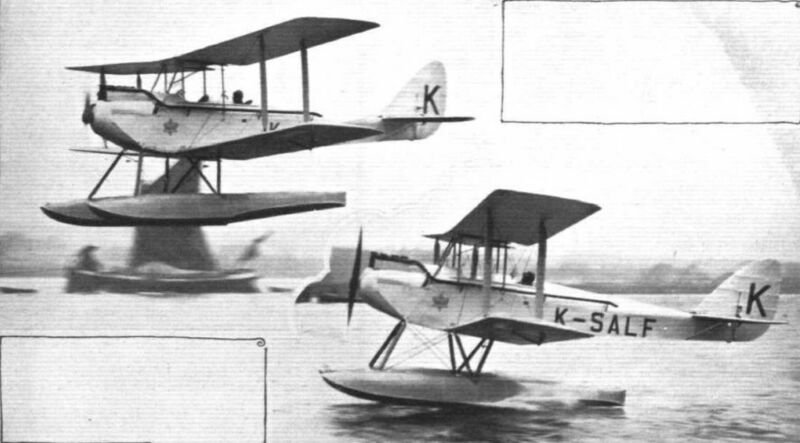 OFFICIAL DEMONSTRATION OF THE AUTOMATIC SLOT: Last week, Sir Samuel Hoare, Secretary of State for Air (left), and Major H. E. Wimperis, Director of Scientific Research, made flights at Cricklewood in a Bristol Fighter fitted with the new Handley Page automatic slots. 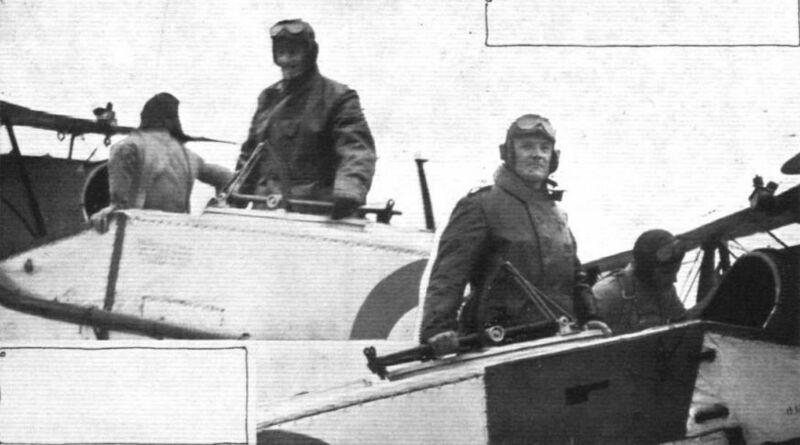 The pilot was Squadron-Leader T. England, who is seen above with his two distinguished passengers. IN THE LORD MAYOR'S SHOW: Aviation occupied quite a prominent place in'this year's procession. Our photographs show: (5) Passenger saloon of "Argosy" Air Liner. The President of the Suffolk Club, the Hon. Lady Bailey, is here seen in an active position on her own "Moth," in which she took a large share in the joyriding work that was carried out continuously at the meeting at Hadleigh. SUFFOLK CLUB'S AIR DAY: (2) Capt. "Jerry" Shaw does his share of the joy-riding work in the Shell "Arom." AT HADLEIGH: On the left is the A.D.C. "Cirrus" Service "Moth" which was flown down by Capt. Stack with Mrs. Stack as passenger. On the right Capt. Stack is on the same machine giving his interesting exhibition of stunting. 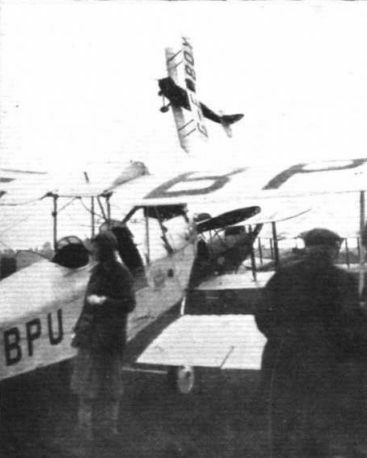 SUFFOLK CLUB'S AIR DAY: (3) Squad.-Ldr Noakes giving his usual clever exhibition of crazy flying on a "Moth." "CIRRUS" SERVICE: Capt. T. N. Stack has now joined A.D.C. 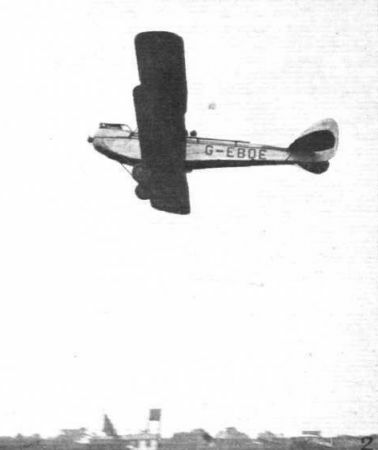 Aircraft, and has been equipped with a de Havilland "Moth" on which he visits the light 'plane clubs and private owners so as to ensure that quick and satisfactory service is given. 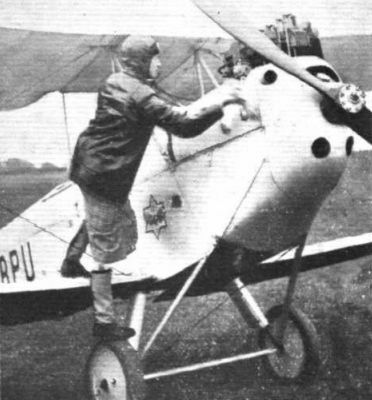 Stack's machine is painted white and red, like that on which he flew to India, and carries the registration letters G-EBUF. 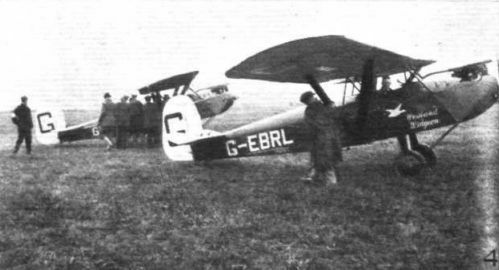 At Hadleigh on Sunday: Here are Mr. and Mrs. Mill alongside the "Moth" in which they flew down and took part in the meeting at Hadleigh. 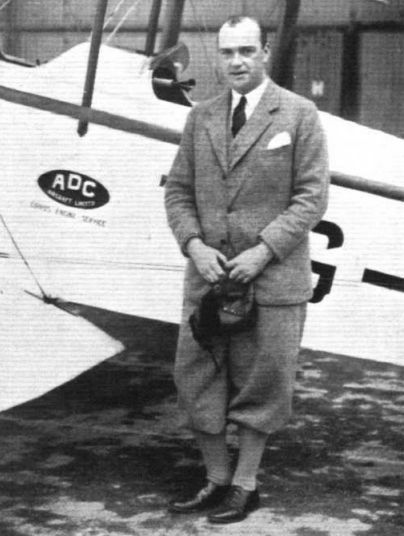 Mr. Mill is the New Zealand distributor of "Moths" for the De Havilland Company, and the machine he is standing by will be taken by him to New Zealand. 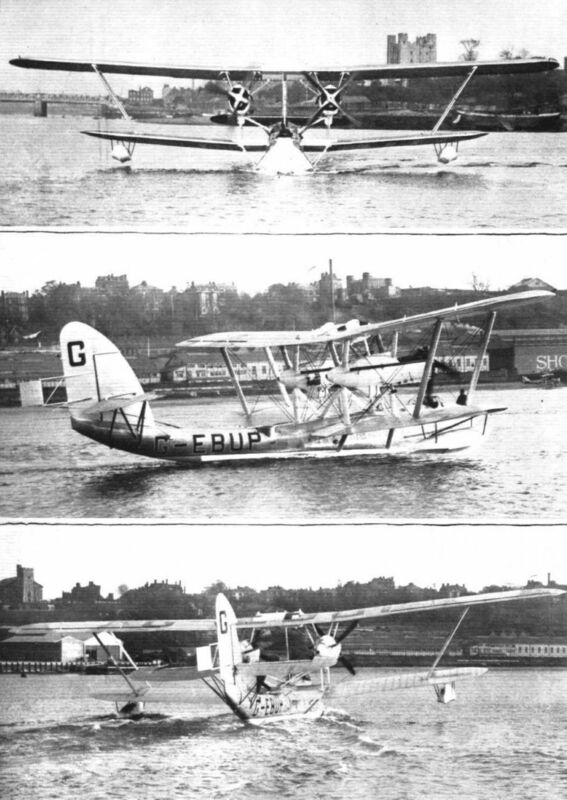 OFF TO "THE LAND OF A THOUSAND LAKES": A de Havilland "Moth" Seaplane, with "Cirrus II" engine and Short Duralumin floats, undergoing tests at Rochester, piloted by Capt. Broad. The machine has been sold to Finland. SUFFOLK CLUB'S AIR DAY: (4) The two Westland "Widgeons" which put in some excellent work at joy-riding. THE WESTLAND "WIDGEON": Squad.-Ldr. The Hon. R. A. Cochrane and Flight-Lieut. Drew made their interesting anв successful European air tour on the Westland "Widgeon" (Cirrus II engine). 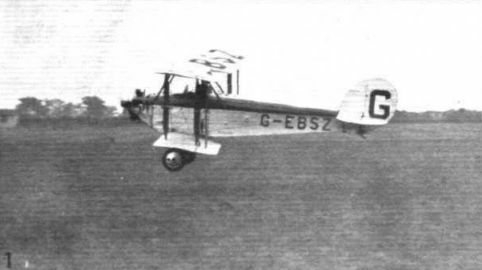 The monoplane proved very stable in bumpy weather and a pleasure to fly. Neither the machine nor engine gave the least trouble during the long trip, thereby fully living up to their deserved reputations. 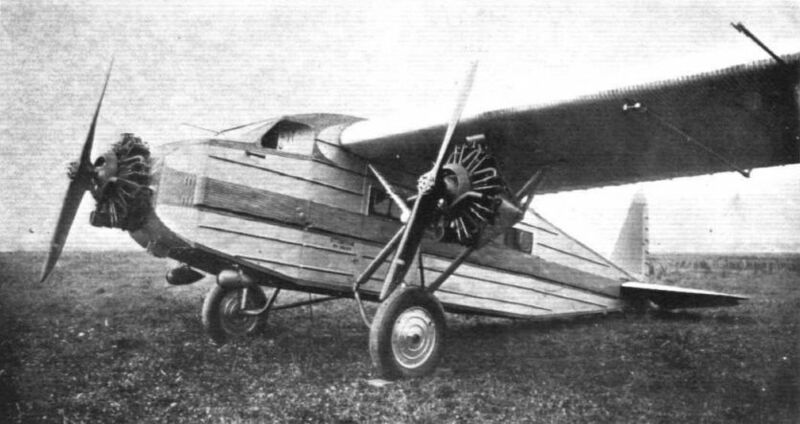 A NEW AMERICAN AMPHIBIAN: The Loening OL.8, fitted with a 425 h.p. Pratt and Whitney "Wasp" air-cooled radial engine, which recently completed successful trials for the U.S. Navy Bureau of Aeronautics. 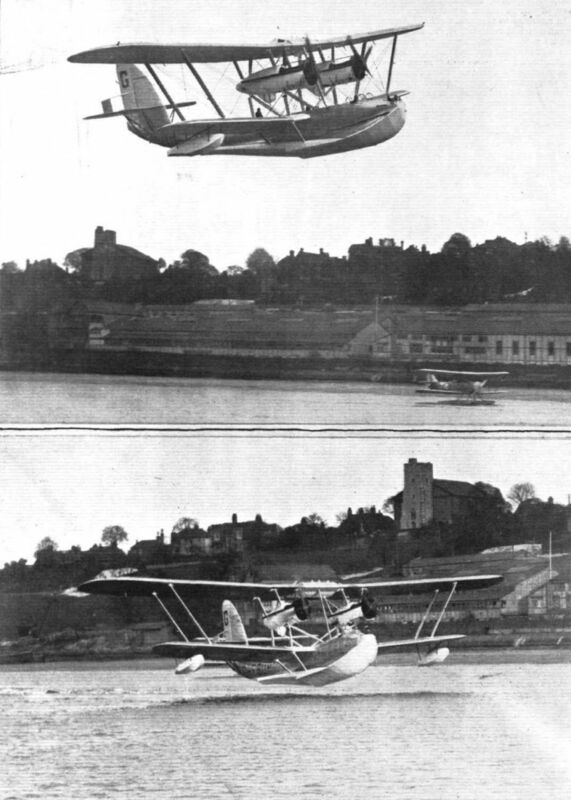 A CLIPPER OF THE CLOUDS: The Short "Singapore," with two Rolls-Royce "Condor" engines, on which Sir Alan Cobham is starting to-day on his 20,000 miles' flight around Africa, photographed during a test flight over the Medway. "GOOD BYE AND GOOD LUCK": The Short "Singapore," two Rolls-Royce "Condor" engines, starting on its 20,000-miles flight from Rochester, on November 17. THROUGH FOG TO SUNSHINE: The Short "Singapore" flying over London on its way to the coast. TESTING THE SHORT "SINGAPORE": These two views show the machine undergoing tests for Sir Alan Cobham, piloted by Mr. Lankester Parker, at Rochester, where the works of Short Brothers are situated. 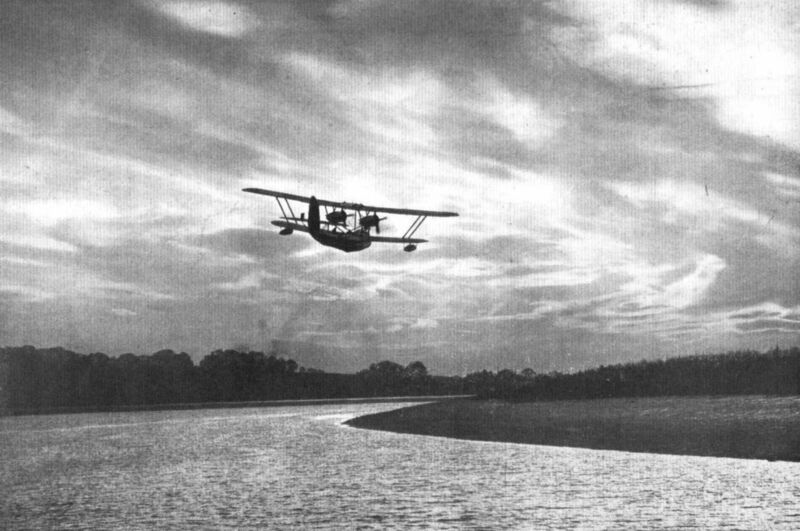 The Wakefield Survey Flight around Africa is scheduled to start on or about November 15. 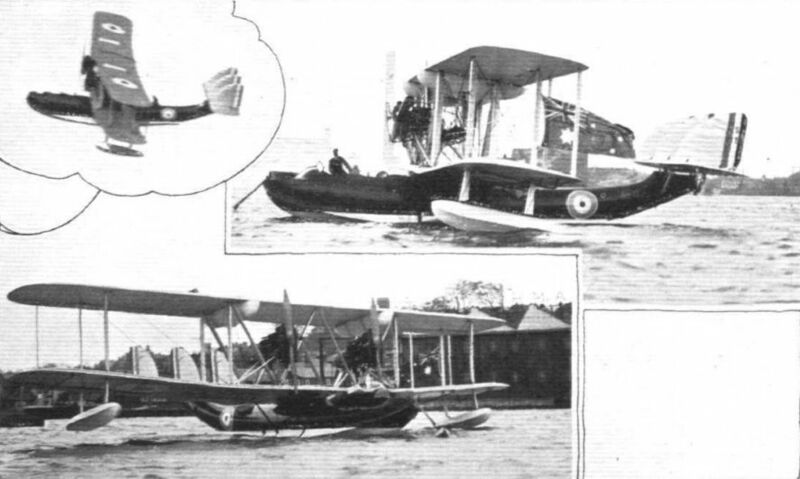 THE FLIGHT AROUND AFRICA: Three views of the Short "Singapore" all-metal flying-boat, fitted with two Rolls-Royce "Condor" engines, which will be used by Sir Alan Cobham on his forthcoming 20,000 miles' flight. 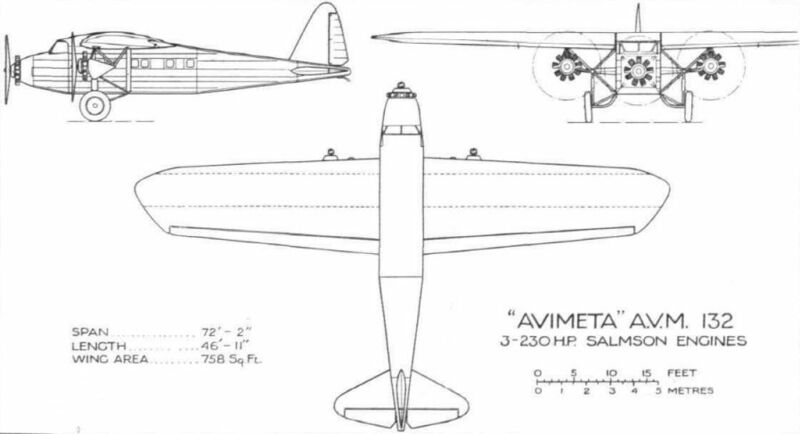 A NEW DE HAVILLAND FOR AUSTRALIA: Side elevation of the D.H.61, with Bristol "Jupiter" engine. 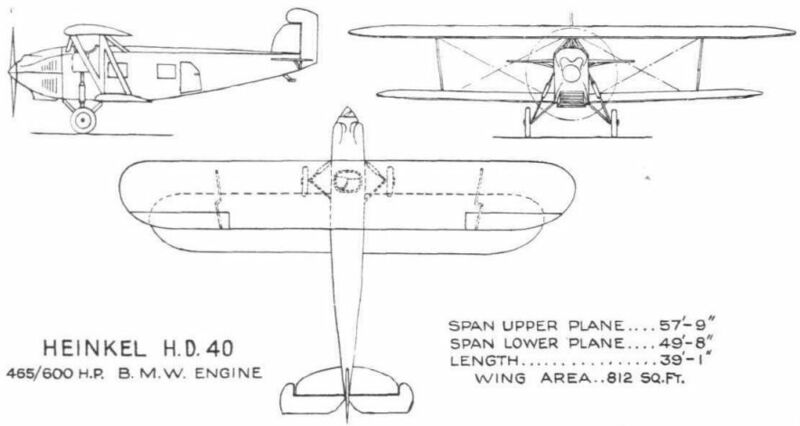 Note the placing of the pilot's cockpit in a raised position aft of the cabin so as to improve the view. 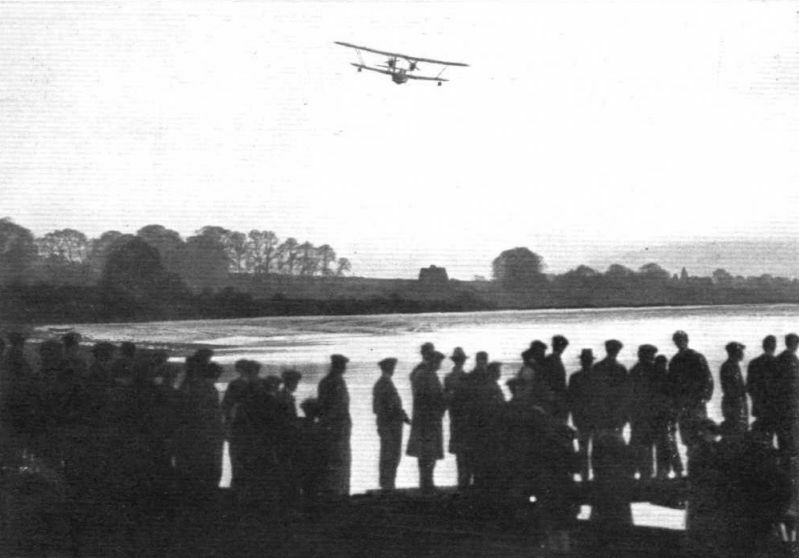 SUFFOLK CLUB'S AIR DAY: (1) The Club's own Blackburn "Bluebird" is seen taking off. 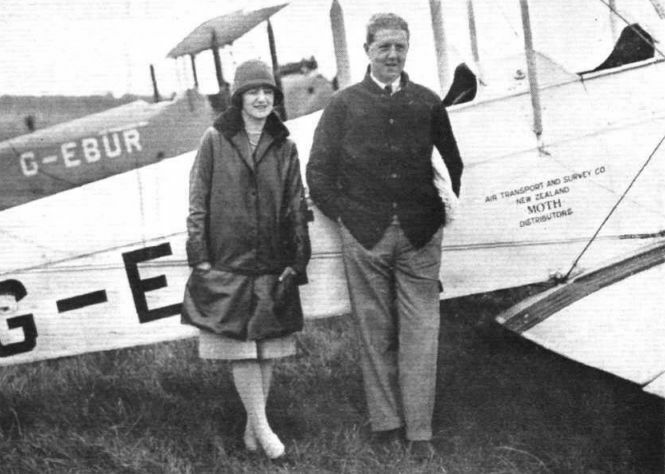 A "BLUEBIRD" ON TOUR: During the past week Mr. Charles H. Blackburn and Lieut. 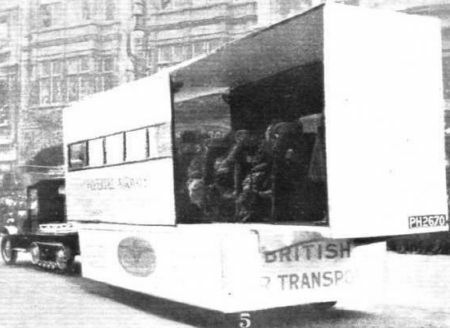 A. M. Blake have been making a demonstration tour of Southern England on one of the new Blackburn "Bluebird II" machines with Armstrong-Siddeley "Genet" engine. Side-by-side seating is a feature of this machine. 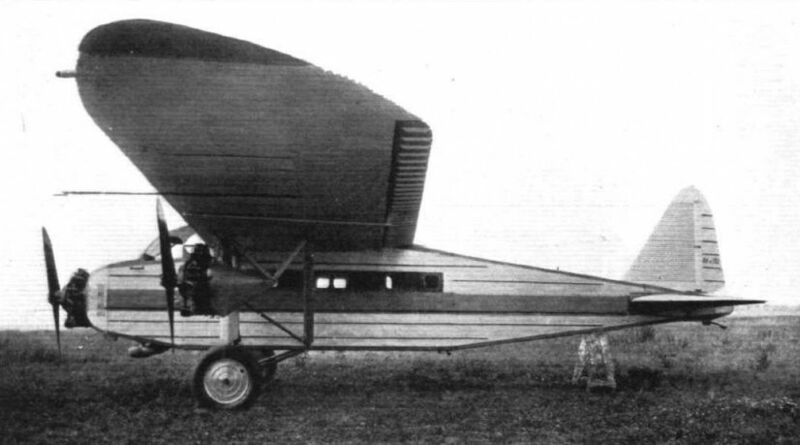 Note the door in the side of the fuselage. 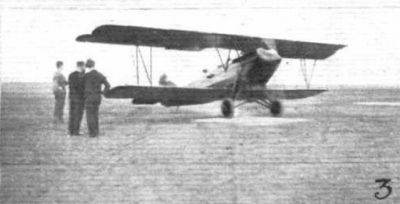 The Heinkel H.D.40 Commercial Aeroplane taking off for a test flight. The machine has been designed mainly as a newspaper carrier. The Heinkel H.D.40 Commercial Aeroplane: Three-quarter rear view. The engine is a B.M.W. VI of 465-600 h.p.